“Pure Joy” is what I experience in Dalcroze Eurhythmics lesson. I feel like a kid again when I am in the Eurhythmics classroom. Many students dread learning advanced music concepts such as mixed meter, syncopation, polyrhythms. In Eurhythmics, learning complicated music concepts is no longer intimidating but fun! Eurhythmics invite students to learn in a creative and joyous environment. I had my first Dalcroze lesson in college. After only one-hour session, I couldn’t help but asking myself: “Why didn’t I know about this earlier? I wish I learned music this way when I was a child!” The class, taught by Eurhythmics Master Teacher Dr. Frego, was MAGICAL. Abstract music concepts became EASY and I can SEE the beat through the body movement. I wish that every child could learn music this way. I am so excited to share a series of videos by Dr. Marla Butke and Dr. David Frego. Watch this video to see Dr. Frego’s class in action. We are very lucky to be granted access to 3 videos. These videos get us a sneak peek into the exclusive video contents that accompanies Dr. Marla and Dr. Frego’s book Meaningful Movement. Missed Video 1 and Video 2? No problem. Simply Click the links below! You’ll find all the Lesson plans in the book Meaningful Movement – the ultimate guidebook to Dalcroze Eurhtymics. Learn More about Dalcroze Eurhythmics! Many thanks to Dr. Marla Butke and Dr. David Frego for sharing the videos and lesson plans with You LOVE Piano readers! I have a dream – a dream to bring Dalcroze Eurhythmics to every student’s piano lesson! 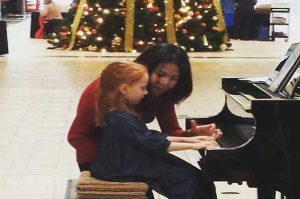 In previous blog, I shared the story of how I was hooked the first time I experienced Dalcroze Eurhythmics and how I wished that every child could learn music this way. Dalcroze Eurhythmics is the Music Training I wish I had when I was a child. I am so excited to show a series of videos by Dr. Marla Butke and Dr. David Frego. Instead of having a passive listening experience, the students build deeper listening skills by actively expressing the music in their movement. If you would like to see the lesson plan and detailed instruction, make sure to check out Dr. Marla and Dr. Frego’s book Meaningful Movement. You’ll find all the Lesson plans in the book Meaningful Movement. Video 3 will open next Monday (May 28)! We are very lucky to be granted access to 3 videos. These videos give us a sneak peek into the exclusive video contents that accompanies Dr. Marla and Dr. Frego’s book Meaningful Movement. Many thanks to Dr. Marla Butke and Dr. David Frego for sharing the videos and lesson plans with You LOVE Piano readers! While you wait for video 3, come check out how I apply Dalcroze Eurhythmics in the private lesson! My students LOVE the Focus activities! They are short, fun and spontaneous. Click to see my TOP Teaching Tools. I was hooked the first time I experienced Dalcroze Eurhythmics. My very first Dalcroze class was in college. At that time, I had no idea what Dalcroze Eurhythmics was. I entered the classroom not knowing what to expect. However, after the one-hour session, I was hooked. The class, taught by Eurhythmics Master Teacher Dr. Frego, was MAGICAL. I remember the smiles on everyone’s faces. Abstract music concepts became EASY as we stepped and moved to the music. What amazes me is that I can not only feel the beat, but SEE the beat through the body movement. I wish that every child could learn music this way. It is just that good. If you are wondering what Dalcroze Eurhythmics is, what better way to experience it than watching the master teachers in action? I am so excited to share a series of videos by Dr. Marla Butke and Dr. David Frego. Instead of filling out boring music theory worksheets, the kids internalize these music concepts in a musical and engaging way. Video 2 will open next Monday (May 21)! While you wait for video 2, come check out how I apply Dalcroze Eurhythmics in the private lesson! Today’s Grand Finale Focus Activity is a special post that concludes my blog series “The Number One Teaching Tool I Cannot Live Without.” I have prepared for you not just 1 but 2 videos! I’m super excited to feature a video by my fellow Texas colleague and a dear friend, Dorothy Yan. In this video, Dorothy shares one of the “Brain Warm-up” activities that she presented in her session “Engage the Brain: Cognitive Warm-Up for Effective Music Lesson” at MTNA National conference a few years ago. In fact, her session had such long lasting impacts that one of the teacher who went to Dorothy’s session a few years ago asked me about Dorothy’s works in last month’s MTNA conference. The teacher still vividly remember Dorothy’s presentation and commented on how much she enjoyed these activities and how she has been applying them in her own studio. 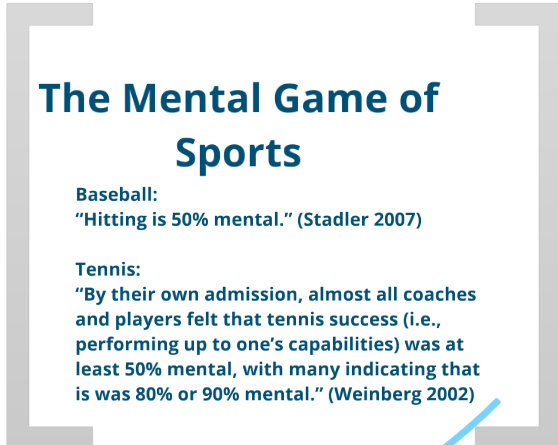 In “Engage the Brain: Cognitive Warm-Up for Effective Music Lesson”, Dorothy compares the mental game of sports to the mental game of the music and highlights the importance and benefits of the Dalcroze eurhythmics “Brain Warm-up” activities. Watch this 2nd video that features this smile-guaranteed focus activity “Catch the Ball, Catch the Rhythm. Are you ready to feel the rhythm with your whole body, catching the ball and singing along to the music? One tip for younger students: try rolling the ball on the floor instead. 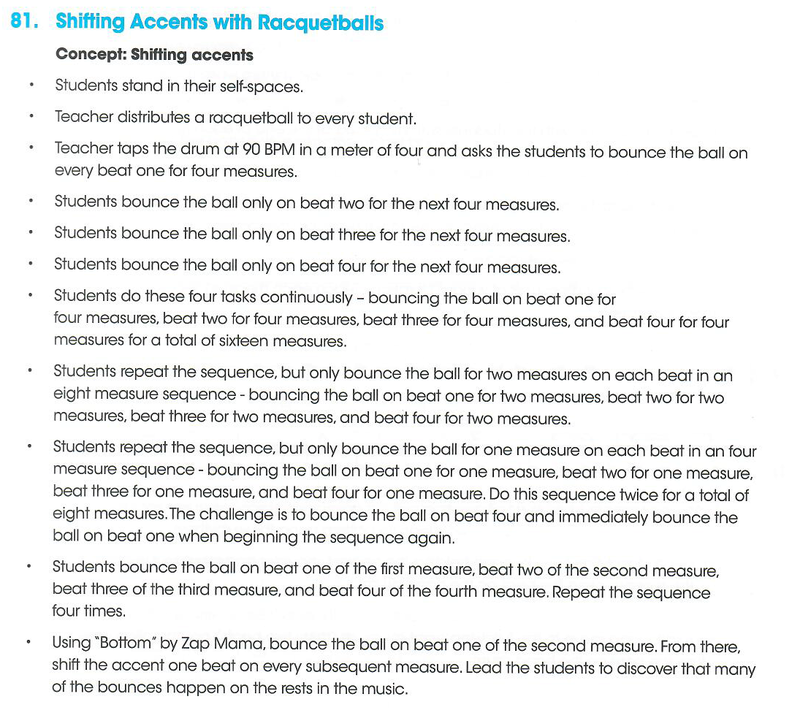 Sit across from the student and roll the ball back and forth on the beat(s) of your choice. 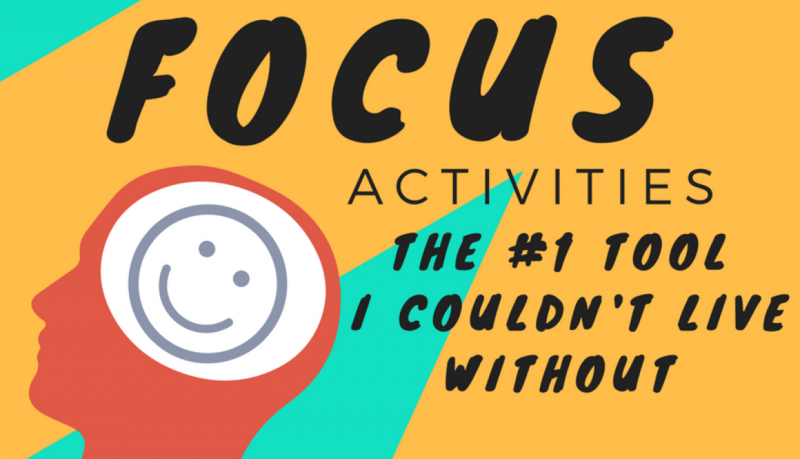 Why is “focus activities” my TOP teaching tool? The answer is simple. When a student is focused and engaged, the lesson is much more productive. Without student’s attention, even with the best lesson plan, very little can be achieved. Please make sure to leave me a comment or feedback if you would like to see more activities. I have also prepared my Top Five Focus Activities for download, remember to subscribe to my blog and get the file instantly through your email. I have prepared my Top Five Focus Activities for download, simply Click below and Get it Now. The activities are Dalcroze based and always require creative, quick and spontaneous reaction from the student. If you would like to learn more about Dalcroze Eurhythmics, please visit American Eurhythmics Society website. I regularly attend their workshop and always have an amazing experience each time. I am super excited to share “Hip-Hop (Focus Activity)” today. all the way to playing solo and duet on piano. Let’s “hop” right in and see “Hip Hop” in action. This video packs all my favorite variations of Hip-Hop. Hold right hand out with palms up. Tap the beat with left hand in the partner’s palm. Want something more tangible? How about adding some croaking, hopping frogs to spice up the “Hip Hop”. Inspired by Leila Viss’s frog guiro percussion instruments, I came up with the idea of having family of frogs croak the long and short sounds. Watch this 1-minute video and enjoy the frog ensemble. Please make sure to leave me a comment or feedback if you would like to see other activities. The activities are Dalcroze based and always require creative, quick and spontaneous reaction from the student. If you would like to learn more about Dalcroze Eurhythmics, please visit American Eurhythmics Society website. I regularly attend their workshop and always have an amazing experience each time! This is the 3rd video in my series of “My number one teaching tool – Focus Activities.” Today’s one minute video features Coke-Pepsi. This video takes you from rhythmic echo activity to playing and improvising on the piano. Students echo back the opposite word pattern. The activities are Dalcroze based and always require creative, quick and spontaneous reaction from the student. If you would like to learn more about Dalcroze Eurhythmics, please visit American Eurhythmics Society website. I regularly attend their workshop and always have an amazing experience each time. 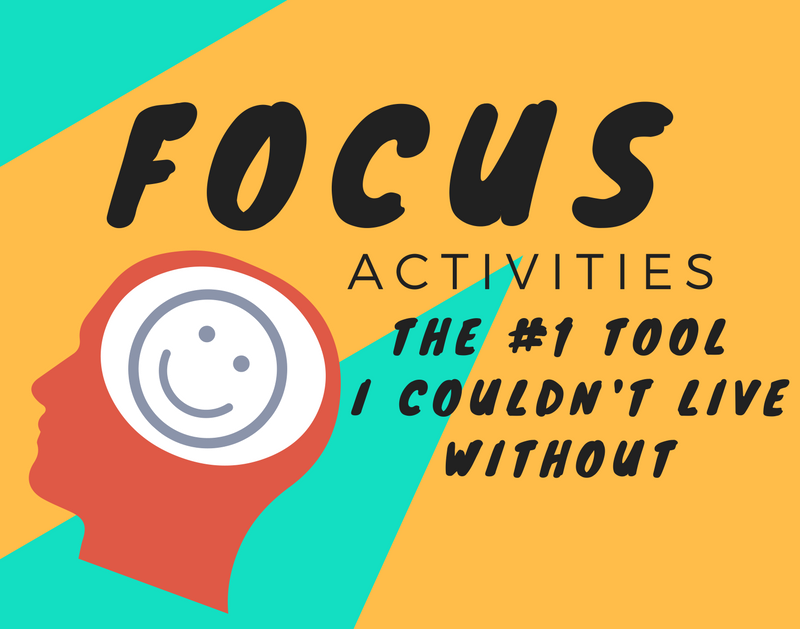 Why is “focus activities” my TOP teaching tool? The answer is simple. When a student is focused and engaged, the lesson is much more productive. Without student’s attention, even with the best lesson plan, very little can be achieved. Have you tried the focus activity “Up Down Upside Down” introduced in the previous blog? Are you ready to fire up your student’s focus with the second activity “Pass the Eggs?” It’s great for parents to try with the children at home, too. In today’s short 2-minute video, you will see “Pass the Eggs” in action and you’ll know why FOCUS activity is my #1 teaching tool of choice. Just see the big smiles on everyone’s face. Pass the egg shaker to the neighbor while chanting “Shake, Shake, Pass and Take” and doing the movement at the same time. 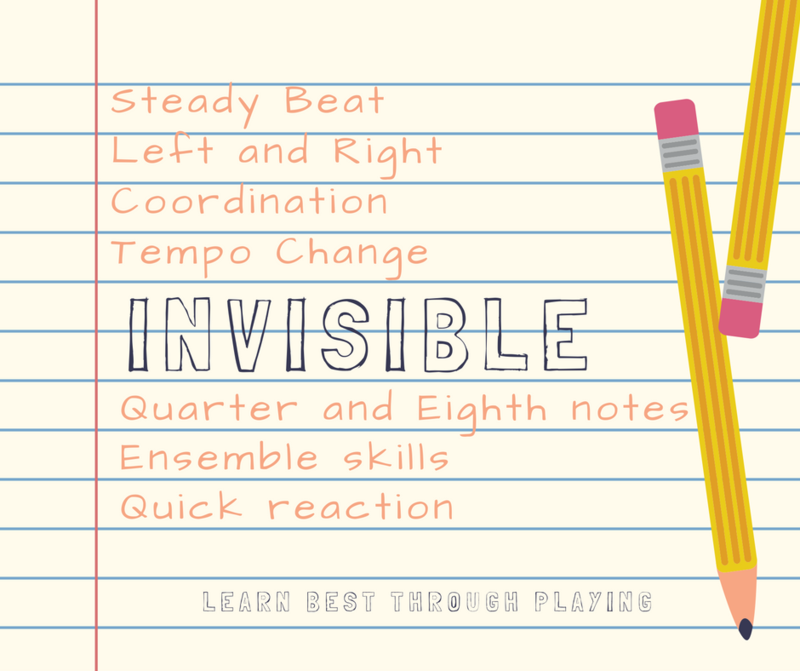 This activity may seem very simple, however, the students are learning all these concepts: steady beat, left and right, coordination, tempo change, quarter and eighth notes, ensemble skills. 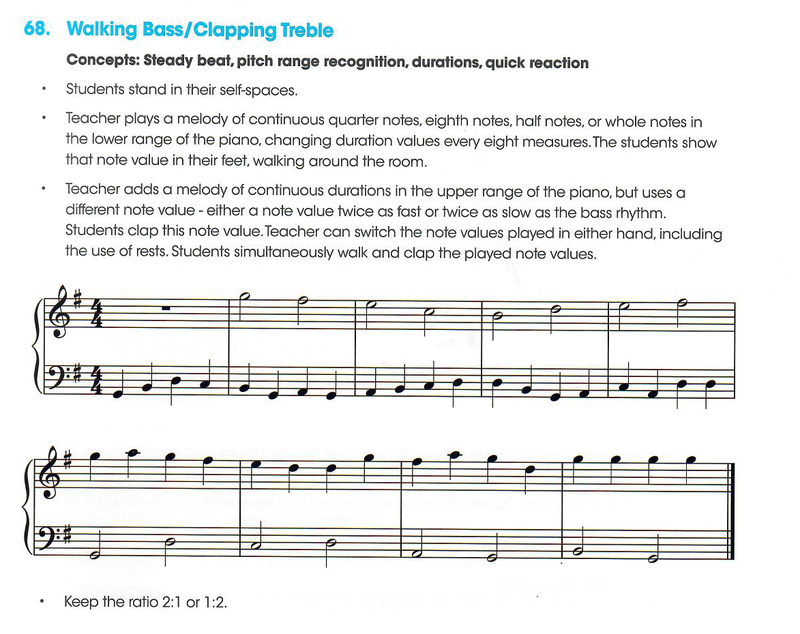 Most importantly, these music concepts are learned in a way that seems invisible to the students. They learn through playing. While watching the video, did you notice that when the egg was dropped on the floor accidentally, we just simply pick it up and wait for the right moment to pass the egg again? This is the fundamental of ensemble playing. It also shows students how to handle mistakes. Dropping the egg is totally fine and making mistakes is totally cool. 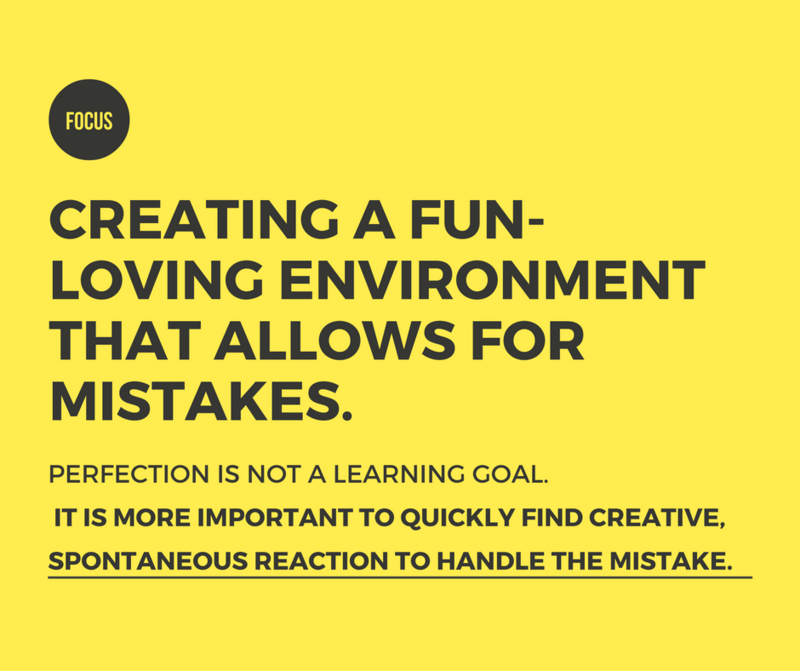 I believe in creating a fun-loving environment that allows for mistakes. Perfection is not a learning goal. It is more important to quickly find creative, spontaneous reaction to handle the mistake. The focus activity is short, fun, spontaneous. Most importantly, it keeps students engaged and ready for learn. Imagine having the student’s full attention from the very beginning of the lesson. When student, parent and teacher are energized and focused, everyone is in the optimal learning mode. What I love best about the FOCUS activity is that it ensures everyone gets in the zone of learning and therefore contributes to a productive and effective lesson. In today’s short 1-minute video, you will see “Up Down Upside Down” in action and you’ll know why FOCUS activity is great as an opening ice-breaker that grabs student’s attention right away. Student points up or down opposite to what they see but say the right direction. If the student comes to lesson feeling tired and sleepy, these activities will surely wake them up and ensure they are in “ready to learn” mode. 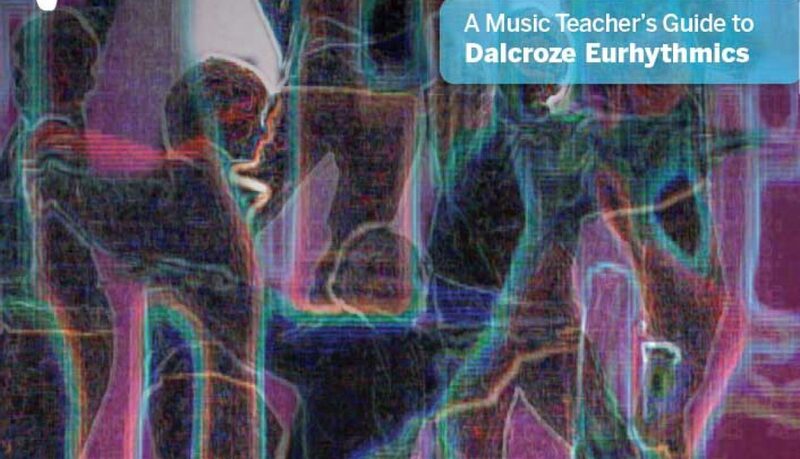 Want to learn more about Dalcroze Eurhythmics? Please visit American Eurhythmics Society website. I regularly attend their workshop and always have an amazing experience each time.